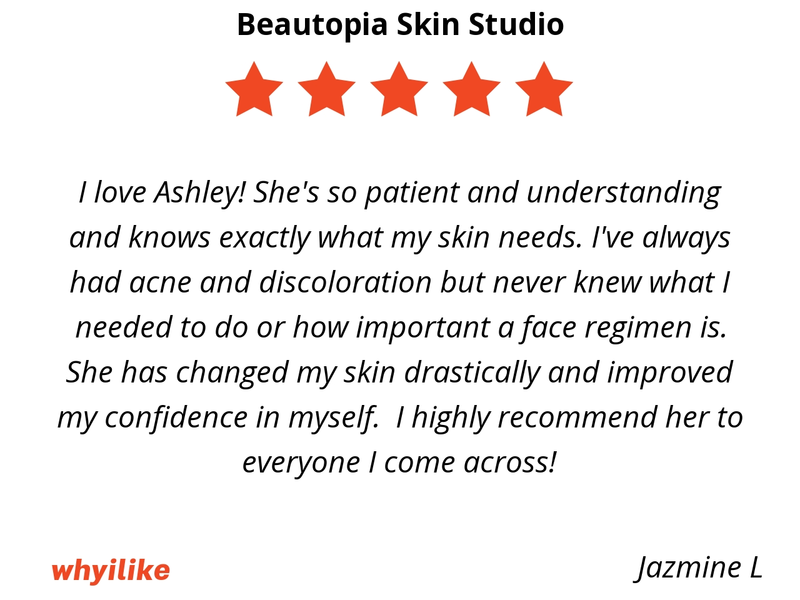 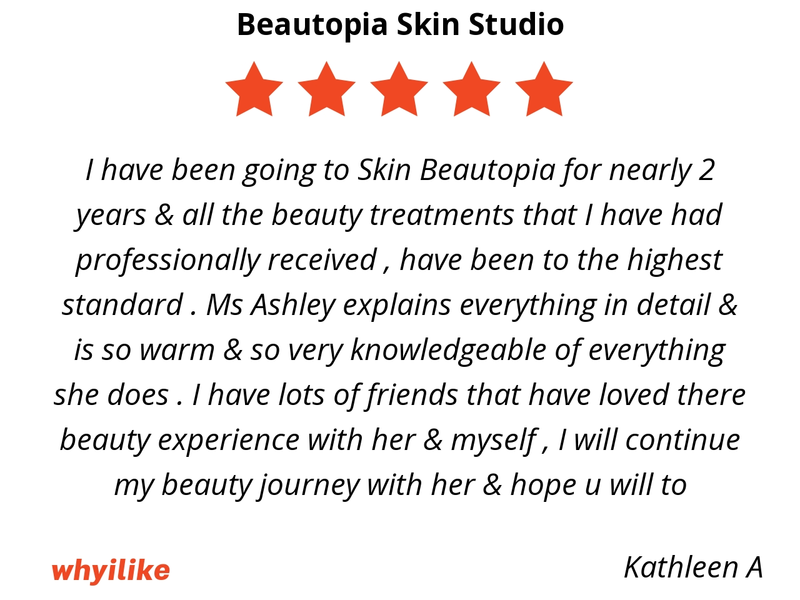 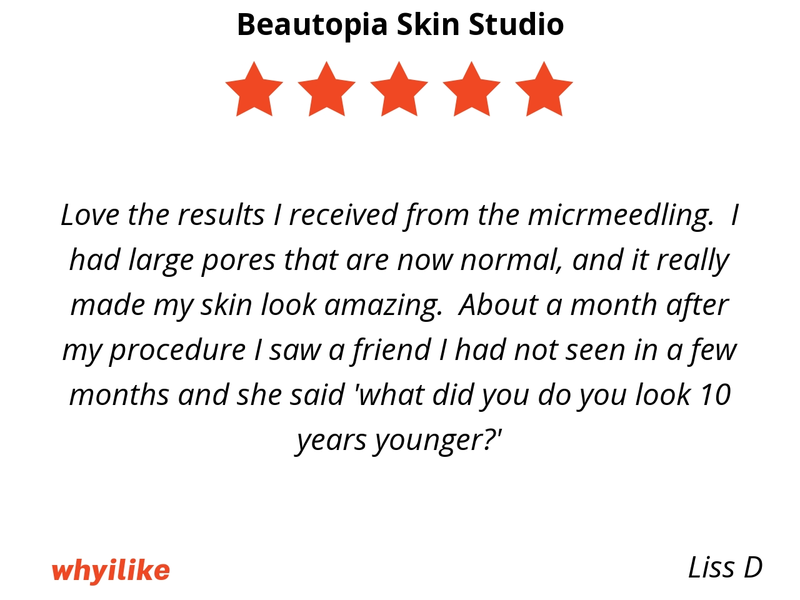 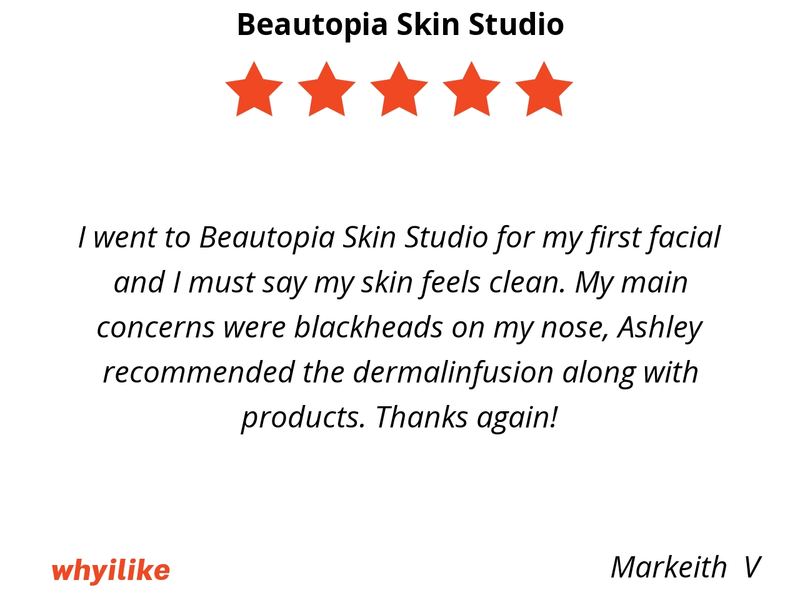 GREAT experience and Aaaaamazing skin results! 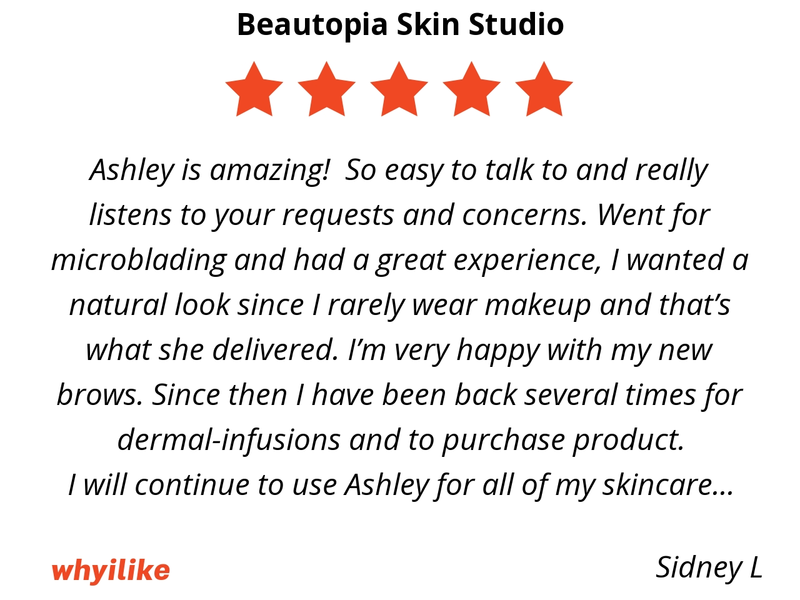 I'm a returning customer and have had several procedures done! 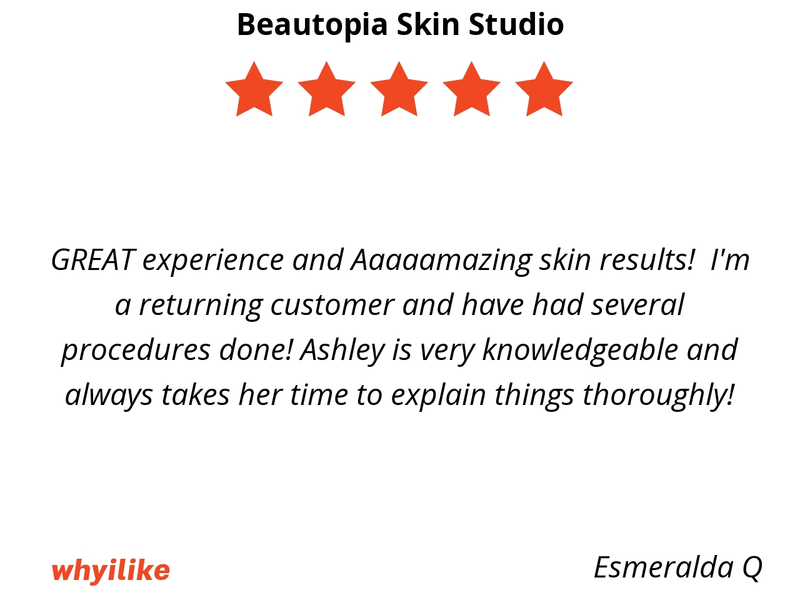 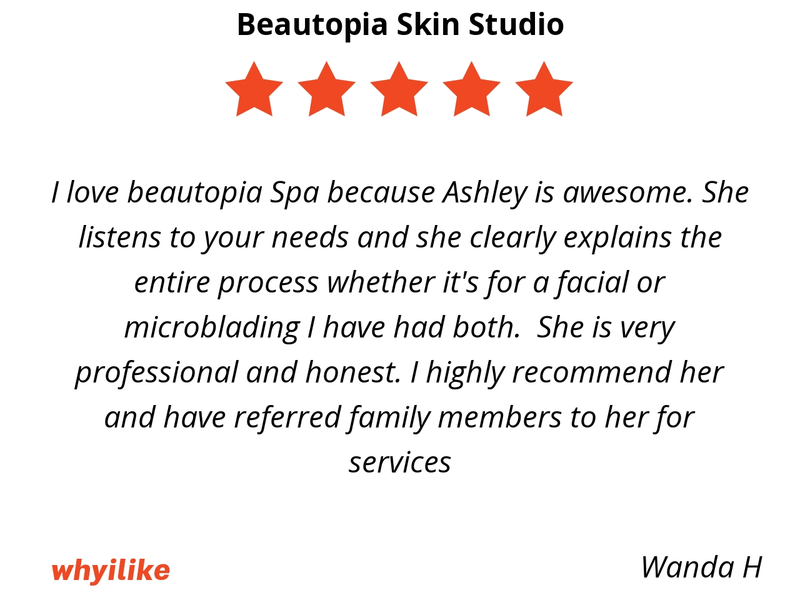 Ashley is very knowledgeable and always takes her time to explain things thoroughly! 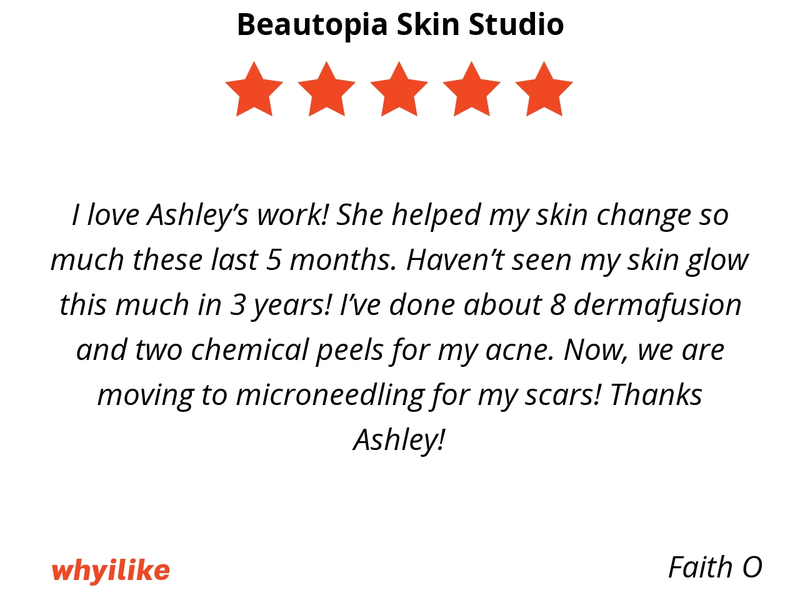 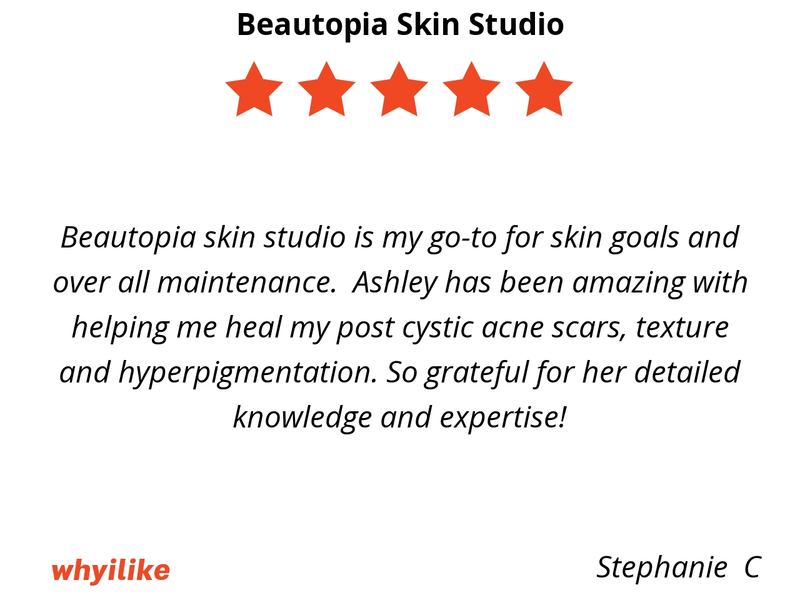 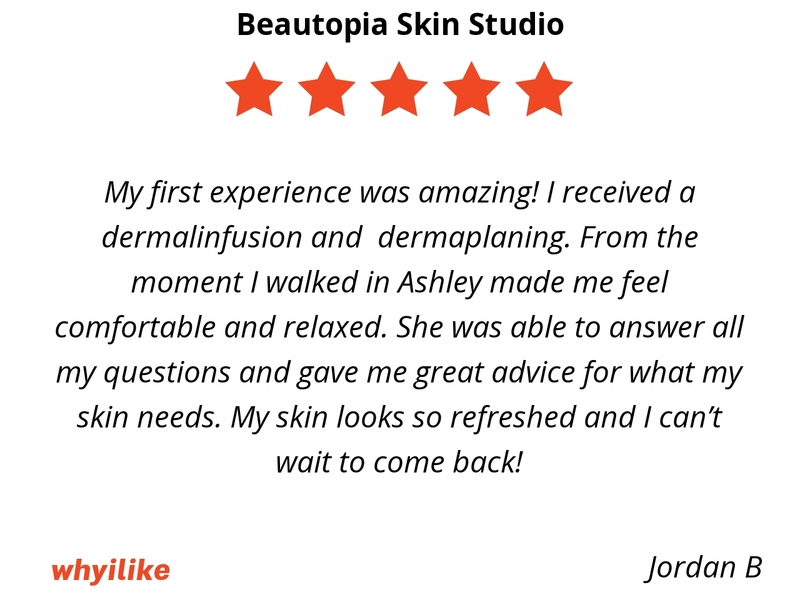 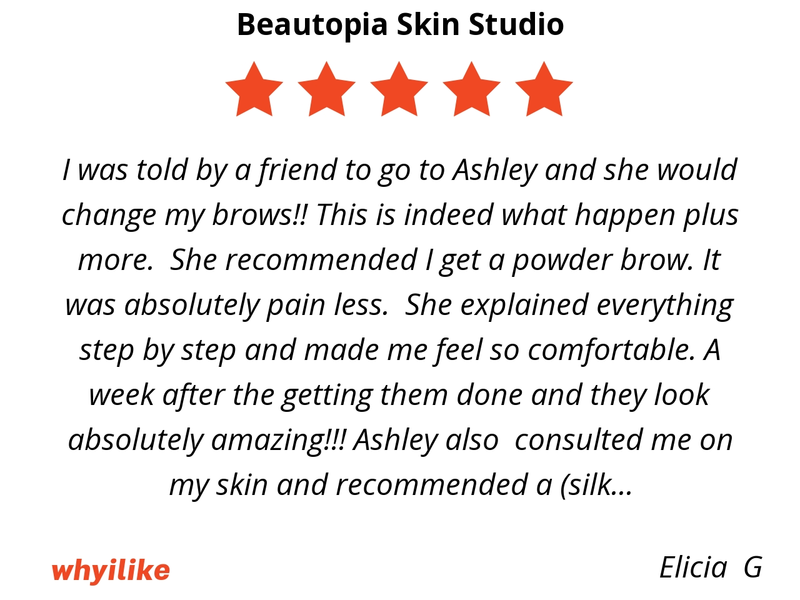 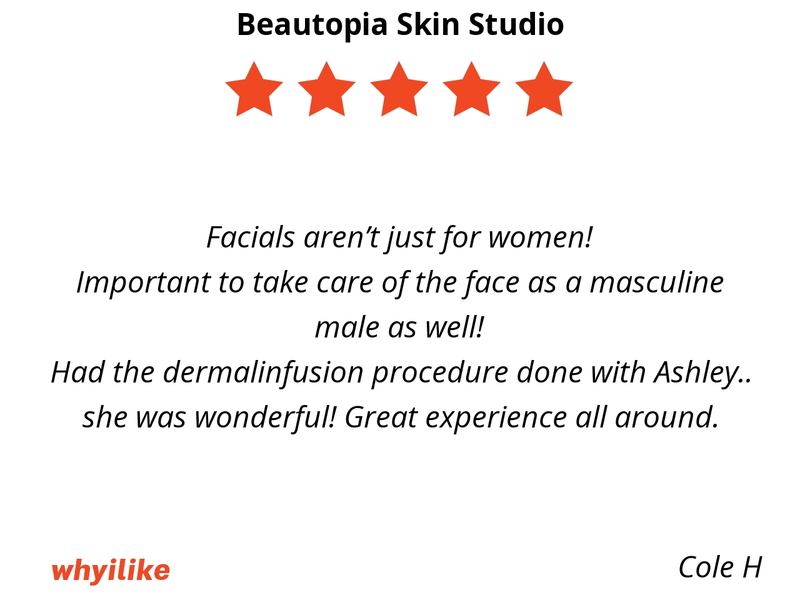 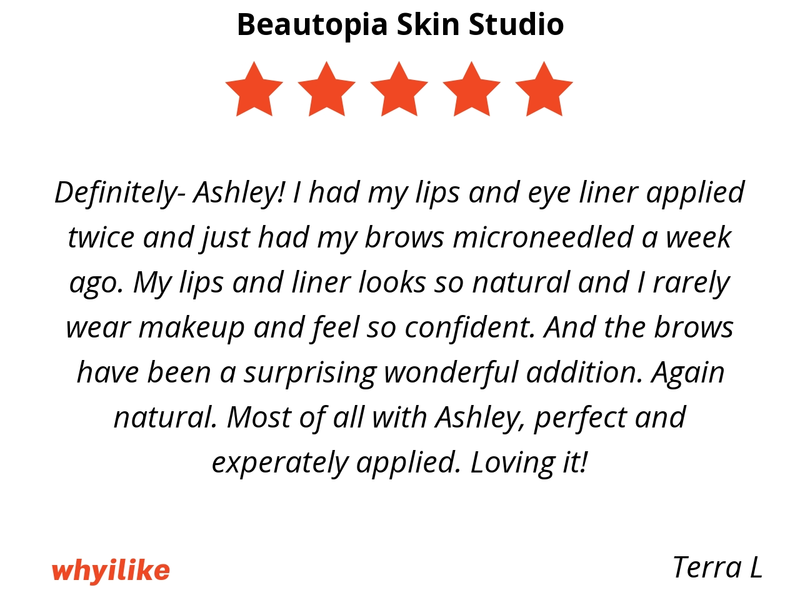 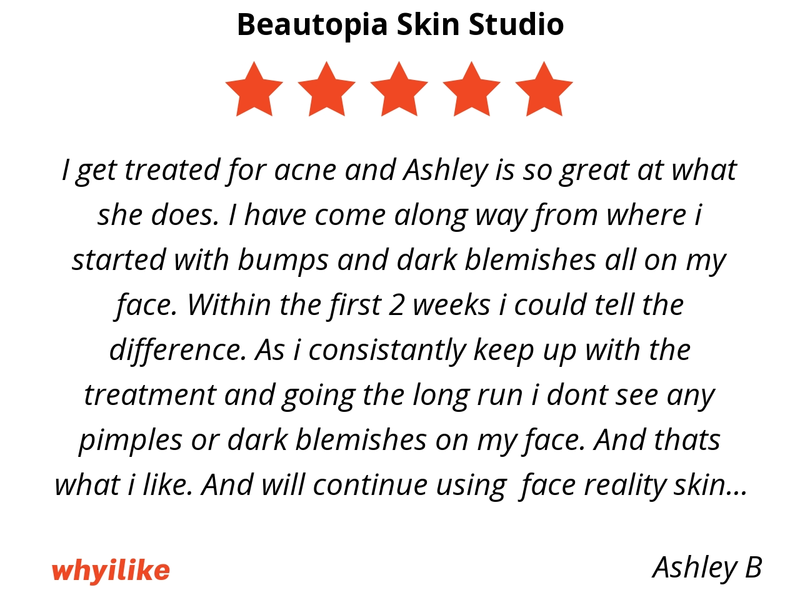 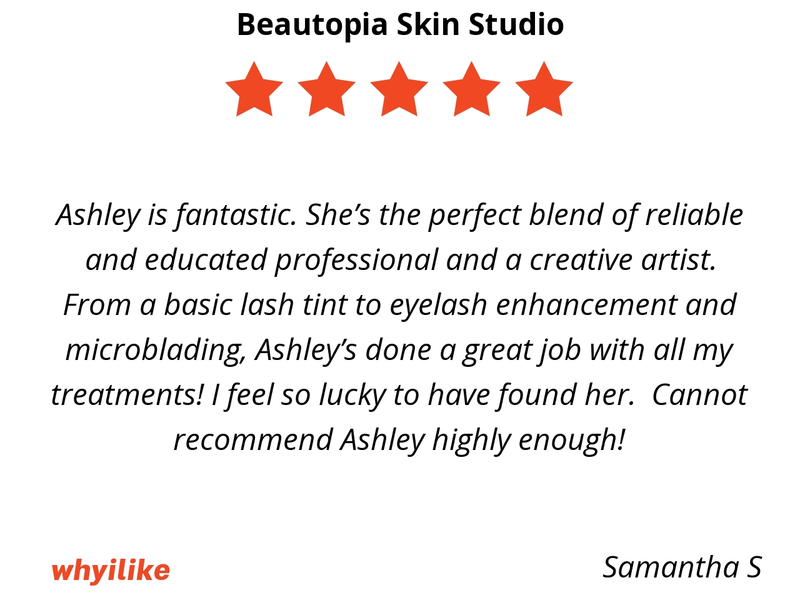 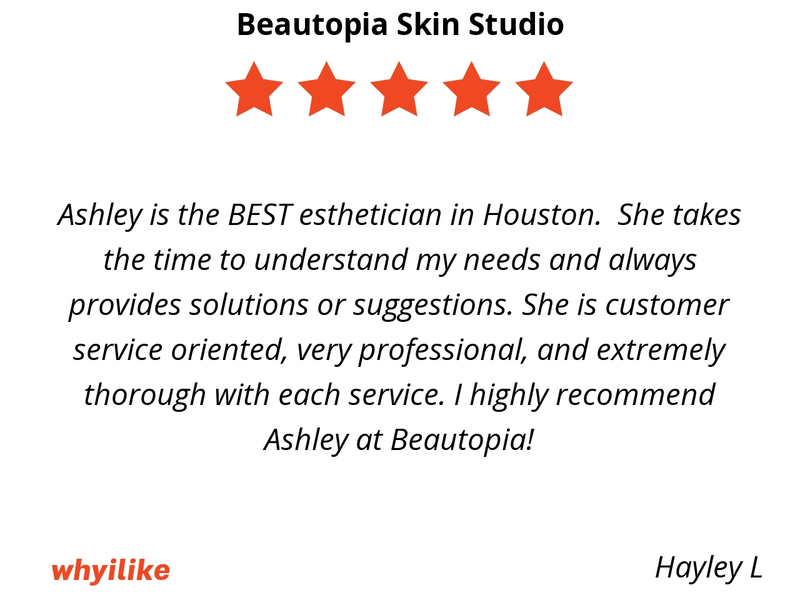 Ashley is the BEST esthetician in Houston. 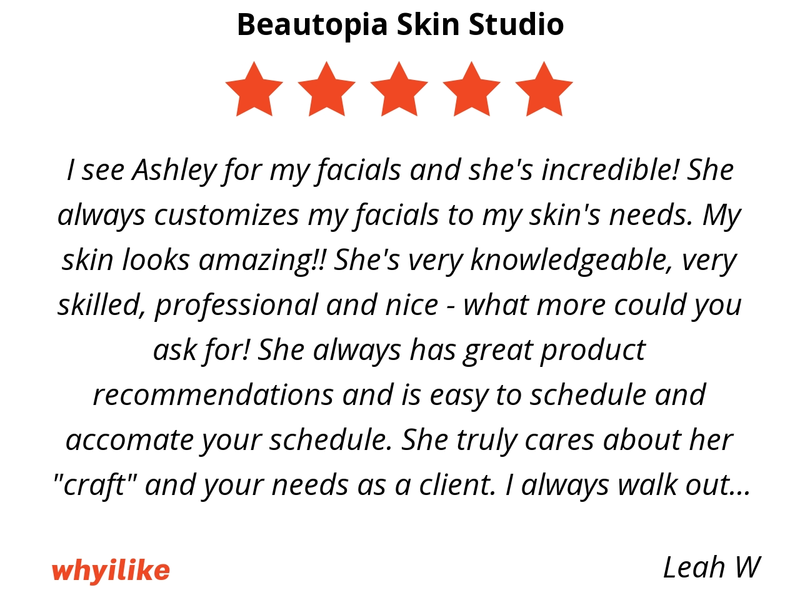 She takes the time to understand my needs and always provides solutions or suggestions. 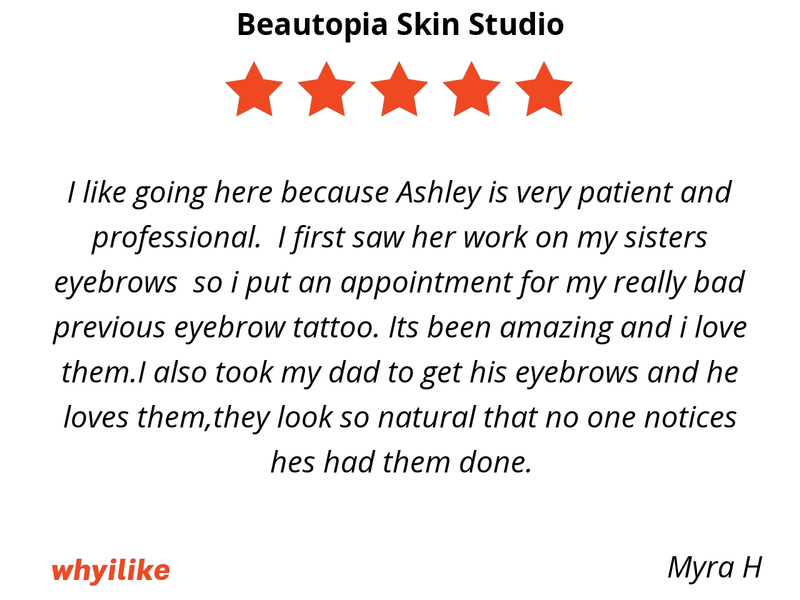 She is customer service oriented, very professional, and extremely thorough with each service. 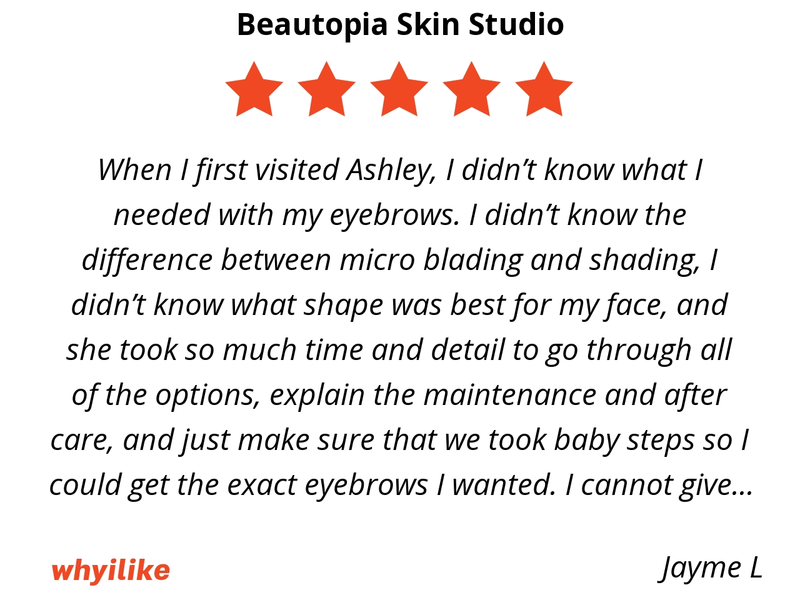 I highly recommend Ashley at Beautopia!